Both California and the federal government have released numbers about people applying for health coverage next year. As Health Care Reporter Pauline Bartolone in Sacramento reports, California stands out from the rest of the states. 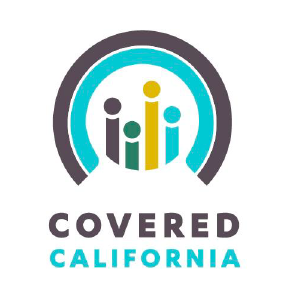 The federal government’s numbers show more than 35,000 Californians have picked a health plan through the state-run exchange as of November 2nd. But Peter Lee of Covered California says the total is almost twice that if you count the latest numbers. There are countless ways to crunch the numbers of people showing interest in the Obamacare websites. Federal data show during the first month, Californians accounted for about a third of the total number of Americans who picked health plans. Those California numbers are higher than for any other single state, and more than the total of people who picked plans through the federally run exchange. But the five digit number in Covered California is a small portion of the five and a half million people who are uninsured in the state. Peter Lee again. Both the federal government and Covered California say the people who have picked plans haven’t necessarily paid their first month premium. That’s due in December. California health insurers say people buying coverage for themselves next year should expect a different set of doctors and hospitals than are available this year. Health Care Reporter Pauline Bartolone has more. Anthem Blue Cross and Blue Shield of California are the largest issuers of individual health insurance policies in the state. Jeff Smith of Blue Shield said in order to keep its plans affordable next year, it negotiated with doctors and hospitals. California Health Insurers: "Some People Will Pay More, Some People Will Pay Less"
California health insurers say the wave of individual policy cancelations across the country is part of an “evening out” of health care rules under the Affordable Care Act. Pauline Bartolone has more from Sacramento. At least 350,000 Californians who currently purchase health insurance will have that coverage canceled this year. Health insurers say they have to comply with new rules that guarantee broad coverage. Some will pay more, some will pay less. Covered California opened for business Tuesday. By mid-afternoon, seventeen thousand phone inquiries had been made to the state exchange call centers. Health Care Reporter Pauline Bartolone in Sacramento has the story of one uninsured woman who went shopping for new coverage online. Even before the Covered California call center in Rancho Cordova opened, there were floating balloons and words of congratulations.